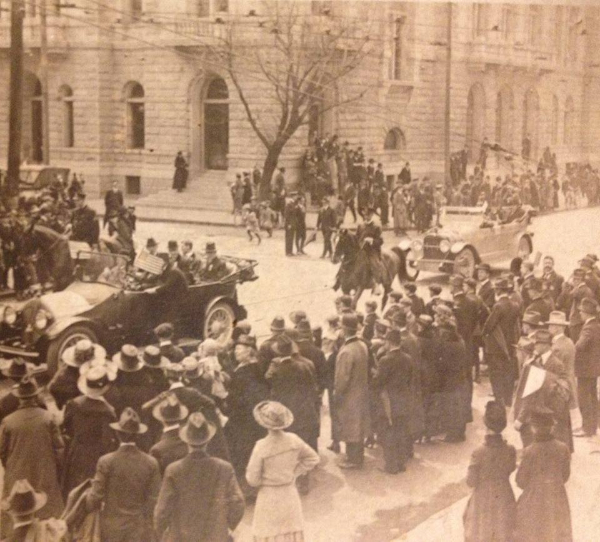 Republic of Ireland President Eamon De Valera in Charleston in April, 1920. 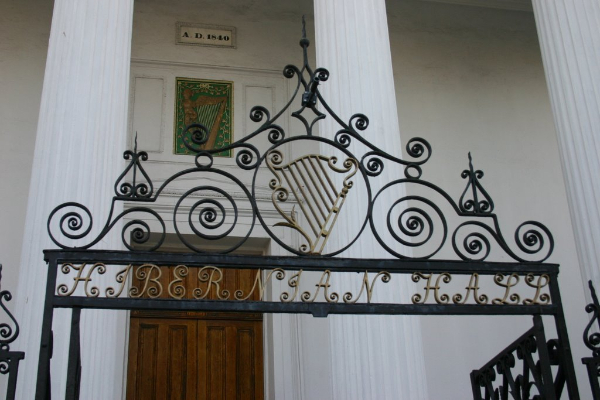 As is the way of all things Charleston, our Irish history goes back far and has deep roots. As South Carolina historian Arthur Mitchell has said, the Irish rose so far and so fast in Charleston because harsh conditions in the Old World made them survivors: “When they hit the beaches here, they were ready for anything.” Before starting this weekend’s celebrations leading up to Tuesday’s festivities for St. Patrick’s Day, perhaps a review of some Irish history in Charleston is in order. According to the Charleston Post and Courier, most historians trace the first Irish settlers in Charleston to three ships that arrived in 1670 by way of Barbados. Included amongst these early settlers was Capt. Florence O’Sullivan, who would earn the moniker Sentry of Charleston Harbor and was honored by having one of the islands at the mouth of the harbor bear his name. Other notable Irish-Charlestonians included a number of well-regarded architects such as White House architect James Hoban, who designed several of Charleston’s buildings, including the old Courthouse at Broad and Meeting. 1776: Irish contributed heavily to revolutionary politics. 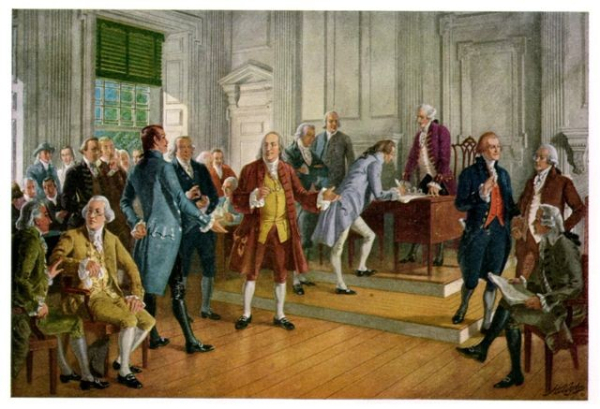 Of the eight South Carolinians who signed either the Declaration of Independence or the Constitution, four were of Irish descent. 1801: The Hibernian Society, which exists to this day, founded as an Irish benevolent organization. By 1833, there were at least 17 Irish social, philanthropy, church or militia groups in the city. In 1840, Hibernian Hall was built. 1860: Charleston's Irish population jumped 38 percent in 10 years. Like many cities on the East Coast, the Irish were drawn to the police force and a full third of Charleston’s Finest were Irish. 1861-5: Irish Volunteers were among the first to come to the South's defense during the Civil War. The flag used by the local battalion depicted a palmetto tree and crescent on a green background. The reverse side showed an Irish harp surrounded by eleven stars, representing the eleven states of the Confederacy. A memorial for the fallen is in St. Lawrence Cemetery (the Catholic area next to Magnolia). 1900s: Many Irish families lived in the old 4th Ward, particularly in the area on and around where the Gaillard Auditorium sits today. Ansonborough stayed heavily Irish-American until the 1950s, and some older residents still affectionately refer to it as "the Borough”. After WWII, ethnic identities began to dissipate as assimilation into American society became more important to immigrants. Lois has a gorgeous listing in Ansonborough at 24 Wentworth Street. Have you seen it yet? You really should. Call her at 843-270-2797 for a showing! 1920: Second-generation Irish-American John P. Grace was the city’s first Irish Catholic mayor in 1911. Charleston's Irish identity also drew recognition from overseas. In 1920, Eamon De Valera, founder of the Republic of Ireland, made a visit to the Holy City (see above). A photograph from that time shows Grace greeting him and standing next to them is Andrew Riley, grandfather of current Mayor Joe Riley Jr.
1975: Current Mayor Joe Riley Jr. becomes the city's longest serving executive and second Catholic Irish mayor. 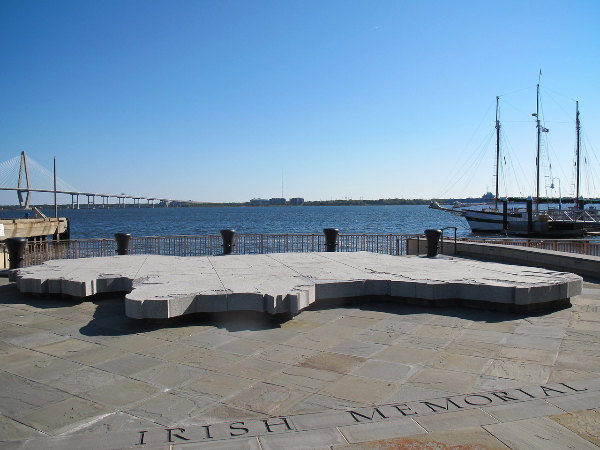 2013: Mayor Joe Riley helped dedicate the waterfront park for the South Carolina Irish Memorial on Charlotte Street. Many residents attribute the Holy City attitude to their Irish ancestors; Mayor Riley stated that “[t]he gentle cheerful goodness that being a Charlestonian is all about comes from them.” Lois had a blast at the ceremony; read about it on our blog! A recent Dublin transplant said that nearly everyone he’s met in Charleston claims to be one-fourth or one-seventh or some-part Irish. And they probably are. Charleston’s Irish today are going through the same patterns seen in other ethnic groups in America’s melting pot: as third- and fourth-generation Irish-Americans try to re-focus on their roots, interest and pride in heritage has become increasingly relevant. 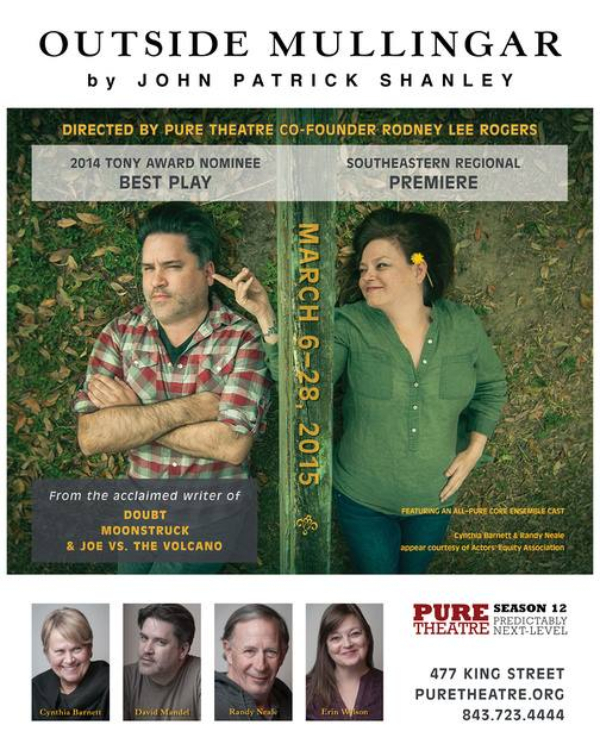 For example, Charleston’s Pure Theater is currently running a very promising play set in Ireland, “Outside Mullingar”, written by Irish-American Oscar and Pulitzer Prize winner John Patrick Shanley. Just this week, the CofC Faculty Senate approved a new undergraduate minor at the College of Charleston, Irish and Irish American Studies. The group will sponsor the production of Celtic Night on April 4th at the Charleston Music Hall. And we’re sure there’s more to come! Tomorrow is St. Patrick’s Day, a festival very dear to the hearts of the Irish and it will be royally observed in Charleston. The day is one of the regular celebrations of Charleston; the fact that it is not a legal holiday will not dim the ardor of the Irish or detract in any way from the celebration. Charleston, true to her loyal custom, will be all Irish tomorrow...Tomorrow all nationalities will be forgotten except the Irish, and the glories of the country, race, and people will be total in eloquent speech and otherwise commemorated.